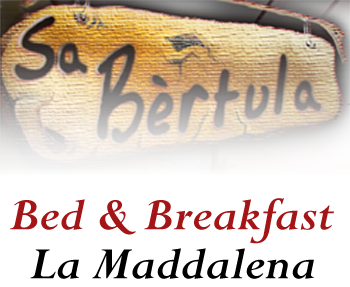 The B&B is situated on the island of La Maddalena, Sardinia. Follow the map below: they will show you where we are and how to reach us. Departure from Genova, Civitavecchia, Livorno with Tirrenia, Moby Lines, Grimaldi,Sardinia Ferries,Linea dei Golfi. You can drive long the SS125 and get Palau in 40 minutes by car, or by train or by bus. For the train you can ask for “Ferrovie dello Stato ” or for ” Ferrovie della Sardegna”. This last company offers you the possibility to reach Palau aboard of the “Trenino Verde”. Bus companies are Arst, Turmo Travel, FdS e Nuragica Tour . Are linked by ferry boats of Saremar, Enermar, NGI e Delcomar. You can buy the tickets at the maritime stations of Palau and La Maddalena. When you get off the ferry, follow the indications of the map you find on this page and you won’t fail to notice it! Look for the signals for Caprera – Via Aggius and you will immediately find the B&B.